City, who were tenth in the Second Division table, defeated the Premier League leaders 2-1 to cause one of the biggest upsets in FA Cup history on an afternoon that nobody who was present at Ninian Park will ever forget. 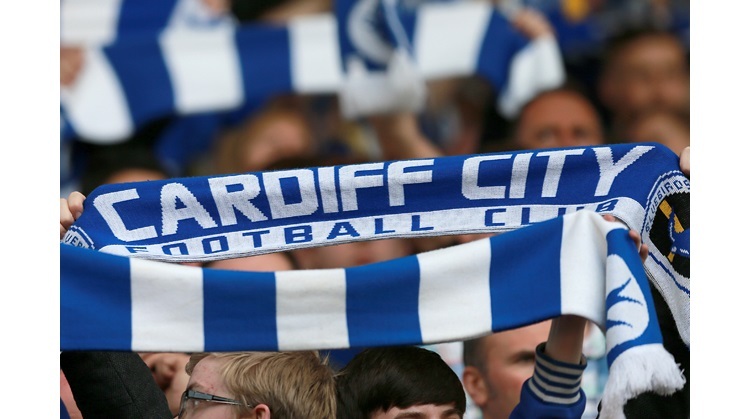 The anniversary function will take place in the Redrow Suite at the Cardiff City Stadium on the evening of Tuesday 21 February 2012, with doors opening at 7:00pm for a 7:30pm start. The event will be hosted by BBC Radio Wales football correspondent Rob Phillips and the guests of honour are Graham Kavanagh, Robert Earnshaw, Andy Legg and Scott Young. Midfielder Kav captained the City side and scored the equalising goal with a stunning free-kick, striker Earnie gave the Leeds defenders a torrid afternoon, left-back Leggy was involved in the controversial incident that saw visiting forward Alan Smith sent off and centre-back Scott netted the amazing winner with just three minutes left to play. The evening to mark one of the club's most memorable triumphs will begin with a football quiz. Highlights of the 2002 Cardiff v Leeds FA Cup match will then be screened before Rob Phillips hosts a questions and answers session with the four players. Tickets for this event are free to members of the Supporters' Trust and available to non-members for just £3.00. All proceeds from the event will be donated to the Fred Keenor Statue Fund. Tickets are reserved for Trust members and their guests until Saturday 21st January, when they will go on general sale. The tickets will be available for collection from the Trust office at the Cardiff City Stadium (situated to the right of the turnstiles at Gate 5) before forthcoming home matches on dates to be announced. Trust members who are applying for free tickets will need to state their full name and membership number (or address if the number is not known), along with the names of any guests they wish to purchase tickets for. Non-members can redeem the cost of their tickets by joining the Trust on the night. This is certain to be a popular event, so please ensure that you apply for your tickets as soon as possible.